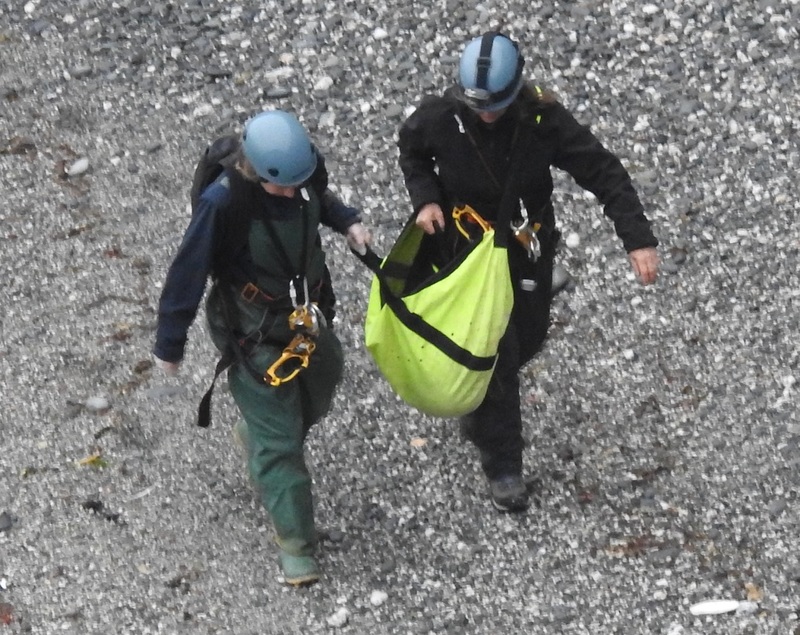 We’re off – rescues 2017! 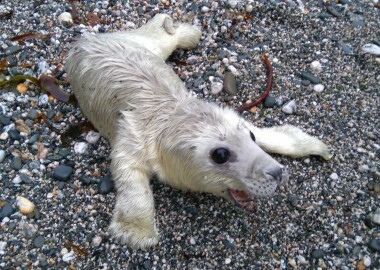 September has seen the sudden appearance of several beautiful white coated grey seals pups along our Cornish coastline. Along with the delight comes the inevitable concern, when one of these skinny little furry bundles appears without its mother. 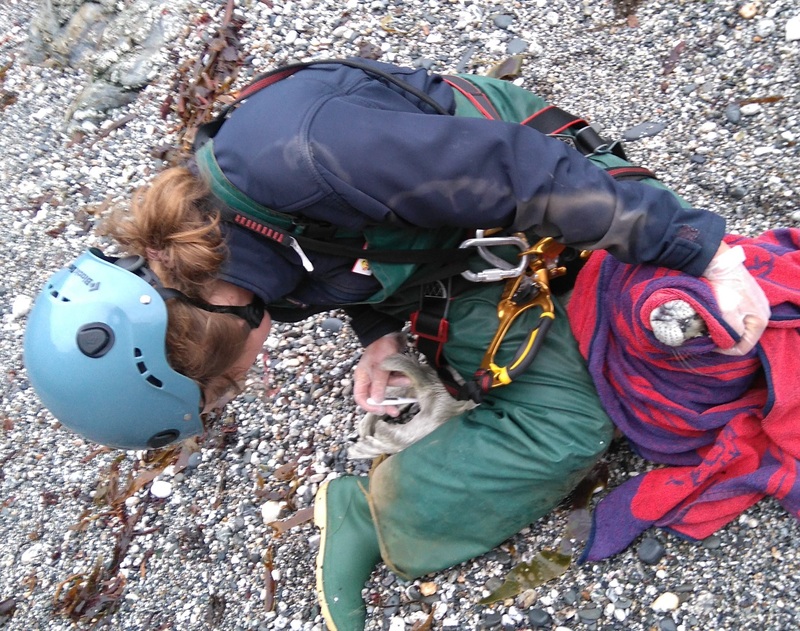 This happened recently on a well known pupping site, so a member of the public did the right thing and called the British Divers Marine Life Rescue (BDMLR) hotline 01825 765546 for advice. 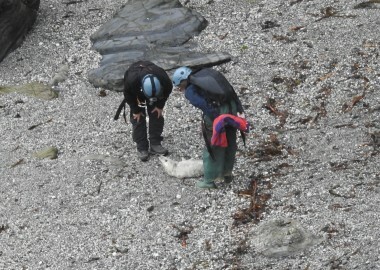 BDMLR have strict protocols about how to assess a situation such as this, so began a lengthy monitoring process, looking out for the pup’s mum in the sea. 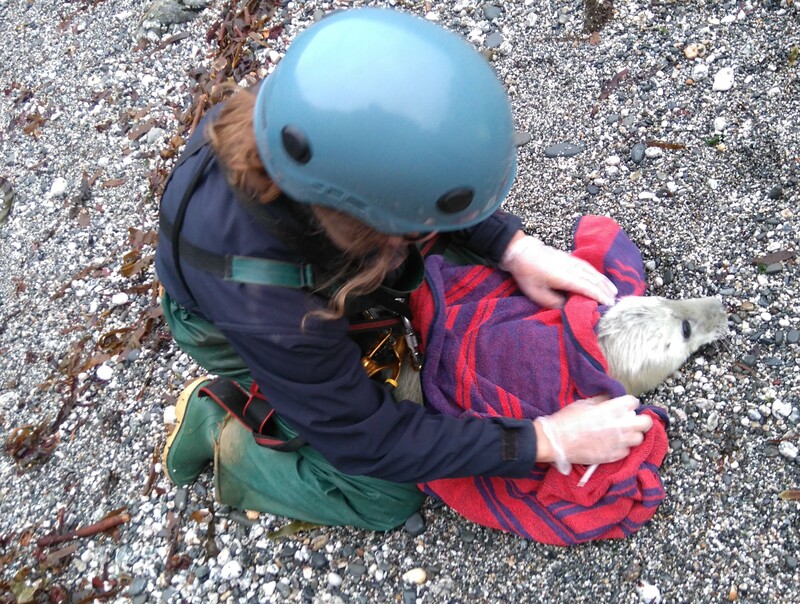 Sue says “I could see a potential mum in the sea but in four hours of continuous observation, she did not come near the pup”. 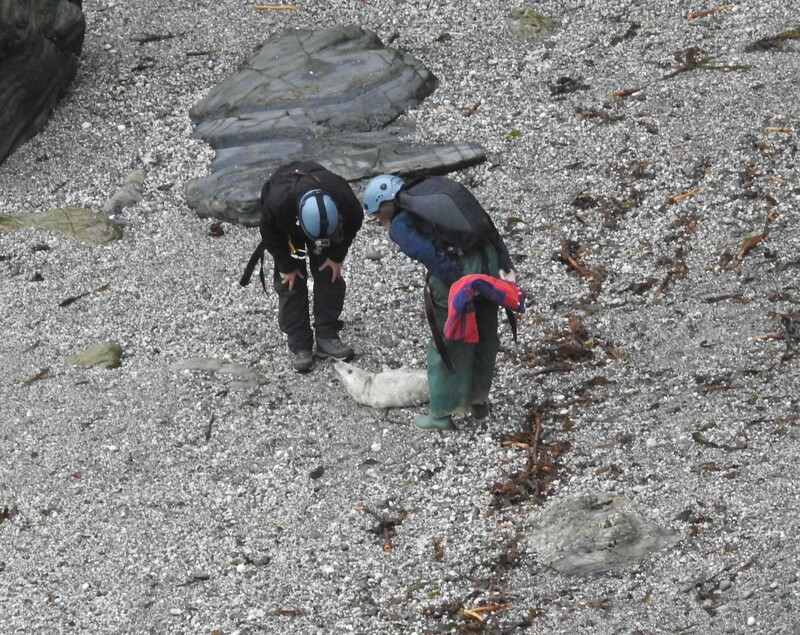 She was then joined by BDMLR charity director and local area coordinator Dave Jarvis and his wife Lesley and as they arrived the potential mother hauled out, sniffed the pup but then left having not fed it. 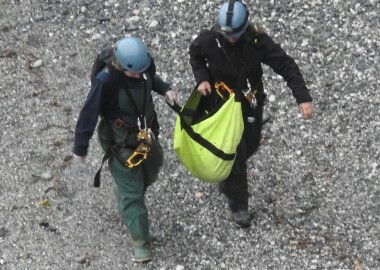 Weather forecasts meant that there would not be another rescue opportunity for at least 36 hours. 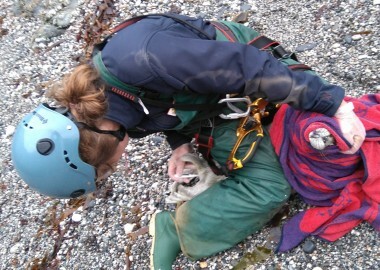 As the unfed pup would not have survived that long, Tamara Cooper – Animal Care Team Leader from the Cornish Seal Sanctuary (CSS) was called and together the difficult decision was taken to rescue the pup. 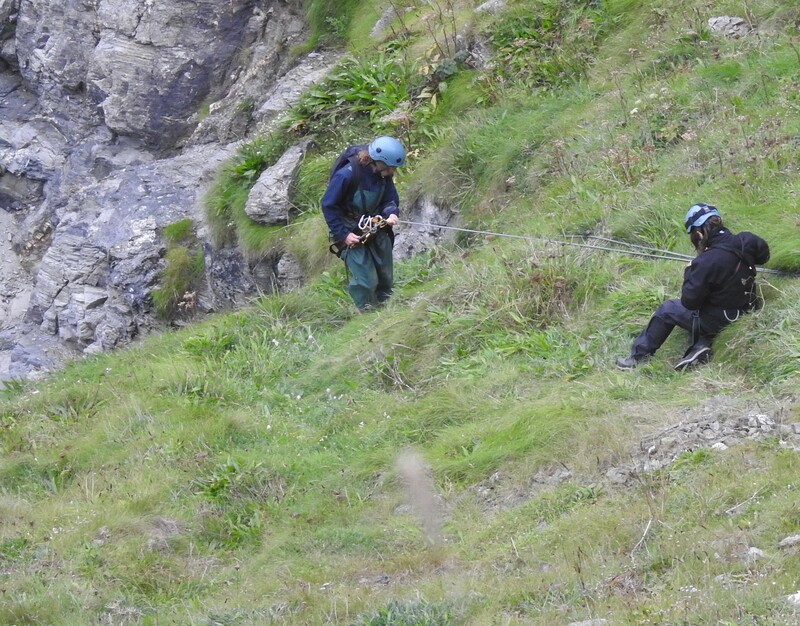 From this point Sue and Tamara were able to share the load again and carry the pup up the path to the waiting BDMLR and CSS support team on the clifftop who by now had been joined by a large number of onlookers, all delighted to see the pup lifted to safety. 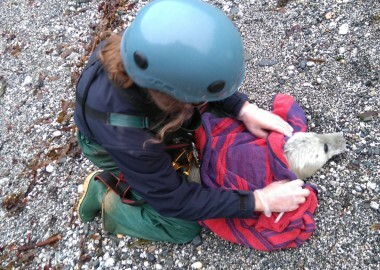 Tamara’s colleague Natalie assisted with hydrating the day old pup before its transfer back to the CSS at Gweek where the pup is now undergoing its rehabilitation back to full health ready for release. 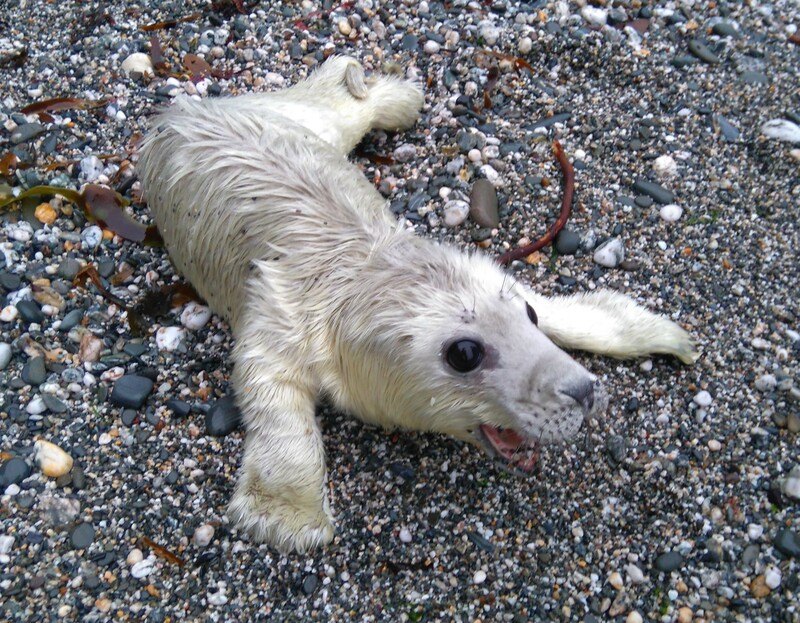 All the members of the public who were concerned about the pup and particularly those who rang 01825 765546 (please put the number in your phone) to report the pup to BDMLR. Dave and Lesley Jarvis from BDMLR and the rest of their organisation. 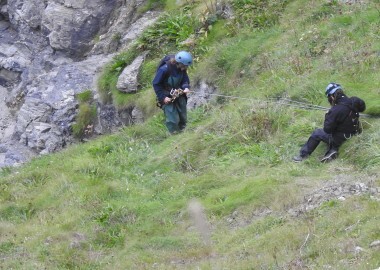 Tamara Cooper and Natalie Dyer from CSS and the rest of the team now rehabilitating this pup.